Industries that sell products which can be digitized are grappling with everything from revenue to new business models and the book publishing industry is no exception to this rule. News broke over the weekend that famed Marketing thinker/doer and best-selling business book author, Seth Godin (Linchpin, Tribes, Purple Cow, All Marketers Are Liars, etc…) was going to stop publishing books "traditionally" (you can read the full news item here via The Wall Street Journal: Author to Bypass Publisher for Fans). The news hit Twitter like a brushfire (especially amongst Marketing Nerds like your truly). "The author of about a dozen books including Purple Cow said he now has so many direct customer relationships, largely via his blog, that he no longer needs a traditional publisher. Mr. Godin plans to release subsequent titles himself in electronic books, via print-on-demand or in such formats as audiobooks, apps, small digital files called PDFs and podcasts," stated The Wall Street Journal. This is a lot bigger than Seth Godin and book publishing. A couple of years back, a major consumer brand approached my agency, Twist Image, about developing an e-commerce platform so that they could sell directly to consumers. I’ve been in similar scenarios over the years, and I know that the major retailers don’t love it when brands sell directly. When I prodded the brand on this point, their blunt answer was: "the retailers are constantly beating us down on margins and exclusivity. We’re currently in a scenario where we’re at the mercy of less than a handful of retailers and our margins are shrinking. If we don’t start to have a direct relationship with our consumers, we’re sunk." An e-commerce website is not going to save them. That brand is making the mistake of confusing "selling directly to customers" with "having a relationship with our consumers". Seth published a Blog post about his shift away from traditional publishing yesterday titled, Moving On, in which he writes: "The thing is – now I know who my readers are. Adding layers or faux scarcity doesn’t help me or you. As the medium changes, publishers are on the defensive… I honestly can’t think of a single traditional book publisher who has led the development of a successful marketplace/marketing innovation in the last decade. The question asked by the corporate suits always seems to be, ‘how is this change in the marketplace going to hurt our core business?’ To be succinct: I’m not sure that I serve my audience (you) by worrying about how a new approach is going to help or hurt Barnes & Noble. My audience does things like buy five or ten copies at a time and distribute them to friends and co-workers. They (you) forward blog posts and PDFs. They join online discussion forums. None of these things are supported by the core of the current corporate publishing model." This isn’t the future of publishing… this is the future of business. Fan base. Must be fanatic, very large, and inclined to read the author’s works in digital format. This won’t work right out the gate for authors whose main following is in print. Marketing savvy and support. Aside from being very smart about marketing, the author needs to have the staff in place to execute, execute, execute, daily, daily, daily. Many authors will underestimate how expensive and time consuming this is. Long term money goals. The author needs to be able/willing to forego the short-term guarantee from a publisher [known as "the advance"] and bet on long term sales direct from consumers (the per unit revenue to the author is much bigger when the author acts as the publisher). Platforms. It’s important to realize that this approach will make the most sense for authors who make most of their money by speaking/consulting to business audiences. In this sense, books are a form of advertising for the more lucrative services provided by these authors. Editing. Seth touched on this in his Blog post. He said he would personally engage a world-class editor to help him sharpen the content and get it ready for "prime time." Sales reps. My guess is that Seth will also engage freelance sales representatives (probably one of the folks that the big publishers or book retailers let go as they downsize) to ensure that some of his content does make its way on to retail bookshelves (airport book stores and some of the bigger chains). So, can every brand be Seth Godin? The answer is "maybe." We tend to see this one act: "Seth leaves major book publishing behind." What we forget is the track record (twelve best-selling business books, as many speaking events per year as he would like to do, his own seminars, thousands of Blogs posts, free eBooks and more goodwill thank you can shake a stick at). This amounts to decades of doing tons of things (let’s not forget about Squidoo) that all had him in direct connection with the people who will buy his books from him, talk about it to their peers and evangelize his always-brilliant thinking. Can you really say that you have this kind of relationship with your consumers? What Seth, The Wall Street Journal, the book publishing industry and the literary agents aren’t telling you is that you can – in fact – be just like Seth Godin. These Digital Marketing channels are here for you (and they’re free – if you don’t count the time you need to put into them). In text, images, audio and video you too can publish how you think to the world… instantly. You too can share with others, build relationships and get your ideas to spread. You do not have to rely solely on mass media to help spread the word. And, you’ll know in short order, if your idea has traction… and you’ll be able to track how that idea spreads and connects. In the end, you are not Seth Godin, but you can be. You can also hear my audio conversation with Seth Godin that was recorded prior to the launch of his last book, Linchpin, right here: Seth Godin Podcast (Six Pixels of Separation – The Twist Image Podcast #181). This all seems a little over-the-top to me…..why not practice the “with” and not “instead of” mindset. Yes, he has a loyal digital following – myself included. Yes, most of us would be more than happy to get the book in PDF…. But lots of people won’t be so open-minded. Matter of fact, they may never even come across the new book if it isn’t at the store. Seth’s stuff is so far-reaching in its nature….if we was a digital marketing guru, then this would make sense to me – but he’s a business (and, to an extent, life) guru. And that is no longer a 100 percent tech-savvy market. Interesting, in that this will make a splash. But I don’t think it’s anything all that new. Writers have been doing this for years, either because their books have niche as opposed to mass appeal and are thus of little interest to traditional publishers, or because they are fed up with unprofessional publishers who give them very little in the way of promotion and distribution in exchange for a large cut of the profits. Sure, most of them will never compete with Seth Godin in terms of volume or profits, but then, they wouldn’t have through traditional publishers either. Most niche writers have been doing their own marketing for years, and they have learned the same lesson that Seth Godin has learned: big or small, it’s all about the relationships you have with your readers. That was one of my points. I think he will have his books (or some of them) on sale at major retailers, they just won’t be represented by a major publisher. My guess is he will self-publish and hire freelance sales reps to get him in the most important shops. I think the big difference here is that the focus won’t be on just books/speaking. He’ll start producing many other types of content products (books that are sold in stores will just be one of many Seth Godin things to buy). The silver bullet here (if there is one) is that he probably also has a good relationship with the major book retailers too (because he is a multiple-time proven best-seller). This means that any freelance sales rep who calls them up will get their calls taken. We should also disclose that Sari works with me here at Twist Image (and no, we don’t force our team members to contribute to the Blog!). I appreciate the analysis, Mitch, and it’s certainly food for thought. It seems like Seth’s trying to do what Radiohead did with In Rainbows and some of the stuff that NIN has tried to do, but as more of a permanent shift in distribution – Radiohead went back to the old model afterward. There’s also Stephen King’s online fiction experiments… but then again King seems to spend a lot more time holed up with his word processor working on novels than Seth spends in concentrated bursts of productivity, making it hard to round out the income with speaking engagements and seminars. It’s all about avoiding time leeching and money draining distribution channels – I get that. I think that non-fiction authors would be more successful at making this kind of jump that fiction authors because I think we’re getting more used to the electronic model for non-fiction, where timeliness can be crucial. It seems to me that most fiction actually does better with some pent up demand. Back to Seth: his advantage, I think, is that he’s not dependent on book revenue sales to power him along, so he can probably afford to take a long term view of this. Although he’s basically had zero overhead for years, which looks like it might change if he builds a content business, so revenue might be an issue for him after all. The one concern that I have with your conclusion is that, while the potential is there for other people to duplicate his success, it might not be able to be duplicated. He’s kind of a larger than life personality in addition to the great work he does. When you think about it, he’s a master packager and aggregator of content which starts out in fragments. So I think that has to be part of the solution, too. I’m kind of rambling here. One other thing that I wanted to note, too, that I think is a key component of Seth’s success: E-Mail. The guy seems to live in E-Mail and he’s incredibly responsive and unfiltered. How often does THAT happen? In the end, you’re right: it’s all about greatness. He’s great. His content works. People want to buy it (in whatever format). What I am saying is that you can be great too and so can brands. And yes, I’ll leave the definition of “greatness” open to each and every individual to figure out on their own. The difference now is that the channels and platforms are open and available for you to distribute that greatness. It worked for Seth. It can work for you too. – publishing total revenue split based on its derivation from authors who have (or want to have) direct relationships with readers (not sell direct as you note) vs authors who have no direct relationships with readers (or are unlikely to). – author total revenue split by these groups based on traditional publishing income, related income (speaking/consulting and such), and unrelated income (eg. Squidoo in this example). – what this looked like 5-10 years ago for both compared to now. Good luck to getting the data though. When I (was lucky enough to get) published a novel in the UK through a publishing house, I was incredibly frustrated by their inability to use the Net to market the book. Despite the Net being a central part of the story. Although I got reviewed by traditional print media and labelled debut of the week by The Times (in the UK), sales were utterly rubbish. The whole experience put me off the traditional book industry and off I went exploring the possibilities of the web. Finally, after years watching and writing online, I can see that Seth and many other writers have a good chance of succeeding with this venture. The launch of the iPad and the imminent release of clones will drive publishing online. Writers with an exciting community and a hefty dose of web savviness may thrive. But doubtlessly trad publishers will finally get the message and flood the market. Think the iBook store. In this way I can see the market getting squeezed for individual writers hoping to cut out the middle man. Especially if publishers can build trust and more sophisticated delivery systems for ibooks. Seth has built his reputation online so why wouldn’t he succeed? But many writers might need to do an MBA as well as Creative Writing courses to learn web marketing 101. I don’t see the publishing industry going down without a fight. You intrigued me with the case of the major consumer brand. What do you think they should have done to deepen their relationship with consumers, gone direct AND worked on the relationship? Or stayed with the stores and somehow found a way to take more margin by having a better relationship with consumers? After I posted a tweet on Twitter about this Blog post, someone (can’t find the tweet right now) pointed me to a Blog post that Tim Ferriss (author of The 4-Hour Work Week) wrote titled, How Authors Really Make Money: The Rebirth of Seth Godin and Death of Traditional Publishing. Although it’s not an infographic it is filled with some of the answers to your question. A friend of mine – David Usher – asks the same questions when it comes to new music artists. David is already very accomplished, successful and knows/does use these New Media channels to speak to his fans, but the problem (as he and you both see it) is in new talent: what do new authors do? The answer (as I see it) is similar to this model. Prior to Seth being “Seth Godin” he worked (very hard) to get his ideas to spread. The truth is that no one can afford to simply be an author, a musician or a brand. They have to elevate and become more. They have to embrace marketing and publishing. Is there a lot of noise? Yes? Is there a lot of selection? Yes. Does the best of the best still rise to the top? Yes. If anything, there’s never been a better time to do this because the distribution for your ideas (business, creative or both) are at your fingertips. The brand is still in most of the major stores. They can’t afford to simply walk away from that. The challenge was that they thought the entire story was about where the consumer buys the final product and they had not invested much/any time in looking at who owns that relationship (store? brand? hybrid of the two?). Giving a consumer a choice in where they can buy something is just more choices. It’s not loyalty. It’s not evangelism. It probably won’t move the need much. Seth took nearly two decades in publishing (maybe more) to build up those relationships and have those connections. Most brands do not have that… but they should. I always appreciate how you can take these things and point to the larger trend. In fact, I thought of you when I read this “news” in the WSJ yesterday, thinking about your analysis of the Old Spice Guy marketing campaign and how it leveraged traditional media in order to create the social media splash that it did. What I found interesting in yesterday’s news was that it was months old. Seth has talked about Linchpin being his last book published in the traditional way for months now, but the news didn’t “break” until he said it on his platform (a large social media platform), and then it really took off it seemed after the WSJ put it on it’s platform (a large traditional media platform). From there it seemed to reverberate between and through many social and traditional media channels. Truthfully, I only read Seth’s post. I did not catch any articles and only just saw Jahn Jantsch’s Mooing On post just before reading this, so I may be a little out of the loop…or maybe I got enough to know what’s going on? Anyhoo, Seth had a number of solid points. Reading his post, I could easily envision why he is doing this and why it is the next logical step in his evolution as a writer and businessman. You also have solid points. I mean, I can’t argue with the fact that it’s not just his relationship with his readers and clients, but also his planning and business savvy that will make this succeed. In my mind, it’s not so much a new direction as it is just the progression of his work. Maybe due to that, I don’t honestly see this as being a significant event for him. It is however a significant event for us because we will have to learn from him once again. He will be the trailblazer (if that’s not making it sound overblown), and we will be the people, who have to study and replicate his success. New business models feel weird because they are weird and they act weird. This is very interesting. I first saw the news on Media Bistro and then on a big traditional newspaper website (can’t remember if it was The Wall Street Journal or New York Times) but noticed that Seth did not post about it until the following day. I would be curious to know how/why the news did break now? Interesting, Seth’s blog post was on 8/23 and the WSJ article was on 8/24, so I had assumed it was flowing in that direction, from his blog to traditional media (which then fueled back into social media). Either way, the two are intertwined probably more than the conventional wisdom seems to sometimes indicate (which is why I loved your analysis of the Old Spice Guy campaign – you really put the larger picture together). Seth was just putting words to what already was. This isn’t new. His platform is huge. Mine? Not so much. I need a publisher. And. What was so wonderful about his post. Was the takeaway message of Choosing Oneself. Just keep doing it. It was the FEELING that his post provoked that made it run. One thing that I don’t think a lot of people are pointing out is that Seth’s choice will most likely be everyone’s forced reality within 2 years or less. Ever written a book with a publisher? If you have you know what I’m talking about. I love my publisher, just saying… things are changing. Chris Guillebeau has been publishing eBooks, but he’s now trying to publish (as in publish the traditional way) his first book “Proper”. Authors who publish hardcover books romanticize digital versions, while a hardcover book is still considered a “Must have” in the portfolio of many eBook writers. Call it an irony if you must. As for Seth’s decision, I’d like to think he’s made the right choice. In fact I wrote a blog post long ago. You might wanna see why I advocate Hipster author 2.0. Or a journalist had a “nose for news” on that day and something rippled to the top. I think some publishers are, and I think some literary agents are also helping their authors with many of these services. Much like many of the other mass media-driven industries it is eyes wide open (for some) and head in the sand (for others). No surprises. I think Seth’s message is actually that you do not need a Publisher. You need an engaged audience. Publisher’s used to be able to provide that (through placing the book in a place where most buyers are) and marketing (through placing big ads in places where most people are). Now, you may need a publisher if a book is one of many things you are doing to get your ideas to spread. Interestingly that piece didn’t appear to get published until today, 8/25. A couple of things stood out to me. One, Seth talked about his readers, his audience, assuming they will always do his marketing for him. While they are an amazing street team, he cannot underestimate the power of someone browsing a store and coming across his books. If we call become “Seth Godins” or “Paul Youngs” there will be no Seth Godins or Paul Youngs. And if every author trying to side step the gatekeepers goes knocking on distributor and book seller’s doors, no one will get in. Or only those with whom the buyer/seller has a relationship. I’m sure Seth’s found a way to make this work for him, but we NEED the gatekeepers to make sure the book world isn’t flooded with junk. If there is any industry in which people think they can short cut, get around, see success without going through the hard work of learning the craft, learning the trade, enduring a solid edit with an eye for art or market, it’s the book business. Good authors are going to get drowned out by over eager wannabes. Agreed (and hence the title of my Blog post). He knows the industry. He knows the game. His content also works. Again, I think there will be published books in book stores, just not through the traditional channels (he’ll work his own channels). 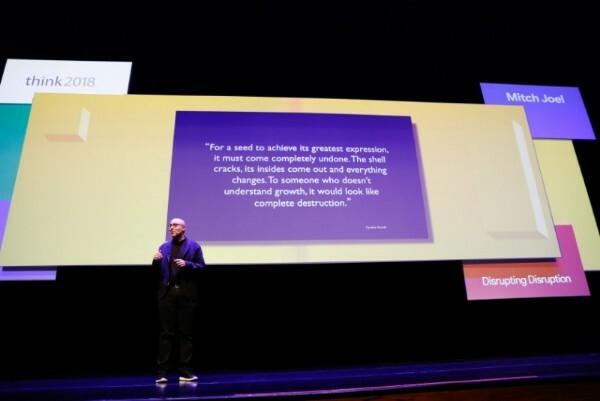 I say – “you are not Seth Godin”! Meaning, you’re right, not everyone will do this, but the tools and channels are there for everyone to share their greatness (meaning thay can – if they have the desire). If it clicks, then yes – you can be like Seth.. or like Mike or whoever else you model yourself after. The points about smartly leveraging the channels Seth uses to engage an audience, spread your ideas, start & promote the conversation–I agree on those points. What hits a sticking point for me, though, is the idea that “You can be” Seth Godin. The truth is that for most people, the idea of “being” Seth Godin implies a level of fame and rabid audience evangelism, recognition and notoriety, that the vast majority of us will never achieve, even if we smartly and effectively leverage the channels Seth uses. I know that I can build an engaged audience. I know I can get my ideas out there without relying solely on the traditional mechanisms that used to be the only option. But can I be Seth Godin? Probably not. It’s possible… but it’s not likely. And I think there’s a huge divide between modeling Seth’s smart use of certain channels and tools and strategies, and “being” Seth Godin. I think the title of your post is more accurate for the vast majority of people out there than the final line of your post. And I realize you probably get that–the problem is that a whole slew of hopefuls out there don’t, and it leads to a sense of failure because they’re trying to “be Seth Godin” instead of trying to engage their own audience and foster their own conversation at whatever level they can. It’s a matter of semantics, I realize… but I think it’s an important distinction. The more accurate framing might be: “You’re not Seth Godin. You probably can’t be Seth Godin. But you can make a big impact–even if you never get to be Seth.” I think that’s the place to focus. This is a great article, Mitch. That I’m pushing back on this idea is not to say I think you’re off-base. I dig the conversation & I’m glad you’re furthering it. Next you will be telling me bands will sell their own music online without using a Record Company? Wait , whats a record? The sad truth is that so many would-be great authors haven’t been represented by traditional publishers for years because they aren’t comfortable going out and marketing themselves. And because they aren’t natural marketers, they aren’t going to do much better in a digital format. The one difference is that they have the option to try and maybe someone will find their book online and read it. And if it is wonderful, maybe they will pass it on and eventually it will become a hit. I suspect those introverted writers will have about the same chance making money that way as if they bought a lottery ticket. If you dig into the minutia of content around this news, you’ll find that everyone agrees: this a much easier transition for business/marketing/non-fiction authors. There’s no doubt that the challenges get hard if someone is introverted. The difference here would be in those authors finding the resources to get the word out. While my publishing company helped a ton in terms of sales and marketing, I do know many authors who would argue that the publishing houses don’t do much in terms of marketing. It’s usually up to the author. No news flash you, Mike… we get it. LOL. But think about those who still don’t think they can read digitally? We have been through this before. Think about DVDs, CDs and records. Everyone swore up and down that both the devices and delivery mechanisms were not the same. Now look at the numbers. It may not be an exact replication of that instance, but as I delve more and more into e-reading, I am enjoying the flexibility and experience much more than a traditional book… and I’m a total book worm. Independent filmmakers are starting to realize that they are able to bypass, either by choice or by necessity, the traditional marketing and distribution methods only available to larger films. This new model for filmmakers demands the building of an audience at a film’s inception. That means that as soon as the script is ready to shoot, the producer and director need to reach out and find the tribe that will follow this new work all the way through production and postproduction, leading the way to distribution over what could be multiple channels. Fans of the film, that got on early in crowd-funding campaigns started through KickStarter or IndieGoGo might then use Eventful to demand the film visit their city. Again, they could have viewed production stills of the cast on Flickr or SmugMug and watched daily video updates from the director and cinematographer on YouTube, Vimeo, Blip or Viddler. Perhaps all of it could be bundled in a video podcast that comes right through iTunes and lands squarely on the iPod, iPhone, or iPad of each new fan. And followers of this project would always know that Twitter and Facebook are the most likely places to find updates about where the film is in its production cycle and what key events are about to take shape. When the film is wrapped and ready for distribution, fans might just buy or rent on Amazon VOD, Netflix, or Itunes. Perhaps they may buy the entire film baked into an iPhone Application. This is happening now and it’s changing the way filmmakers are doing business. With iTV right around the corner, get ready for more options. Jon Reiss, independent filmmaker and author of the book, “Thinking Outside The Box Office” knows that the type of work mentioned above is not familiar to most filmmakers. And knowing that, he has developed a new term for the position. It’s called the Producer of Marketing and Distribution or PMD. A PMD can do for writers what Reiss’ idea of the PMD does for film; and that’s everything except writing the book. Thanks for this thoughtful post and the numerous comments above. What is Seth trying to achieve? If his goal is to get spread ideas quickly, the slow publishing process gets in the way. If he’s trying to maximize impact, photos, video and audio may be more effective. Attention spans are short and we crave stimulation. We learn in ways than reading. Seth labels paper books as souvenirs. That’s an interesting perspective. I have some for that purpose but I rarely read them. I much prefer audiobooks with an ebook for reference. We’re not Seth and he’s not us (so there!). His plans make sense for him and do send a message to an industry he knows well. I’m interested in seeing what he and others do. Part of the business goal may also be the ability to retain the IP or copyright. Perhaps he wants to make sure that whatever content he comes up with, he can use as he sees fits. Great piece, Mitch. Seth Godin, like Radiohead (and their “name your own price” digital giveaway), is an outlier. To generalize from outliers is faulty, for all the reasons you outline. Long time reader – first time commenter. Thanks so much for the great take on the evolution of publishing. I think what many in the publishing industry are responding to is the fact that while publishers are good at some things (most of the things you noted in your list) they’re not good at everything. That’s the key. What authors need to start looking for is the right models for the future of their brand. This means focusing less and less on the individual book and more and more on building their repertoire, community and in new and inventive ways. Literary agents are literary agents (for example.) But in the future, an author is going to need to be represented in many more types of media than just print. Couple that with much more traditional business model and you can see why this is – sort-of – a non-news issue when it comes to someone like Seth Godin, but a great beacon for other – more traditional authors – to start thinking about. Mitch, saw you speak in Toronto’s Art of Marketing earlier this year, got an autographed book from you. Nice book, by the way. Well written. You were very friendly, too. I have to mention that. In my estimation, Linchpin was a poorly strategized mistake. Seth’s audience does not primarily consist of linchpins. It consists of entrepreneurs that report to themselves. Maybe that’s why he kept having to tell people to give the book to the linchpins. It’s because he realized too late that the majority of his audience actually wasn’t one. I think that some of the blame for his book has to be laid at it’s content. Seth can demonize the ‘archaic, traditional’ publishing model for the less-than-stellar performance of his recent book, but I think that he’s hiding a bit from a bigger truth by doing so. Did he write the book to make money? Seth is no dummy. Of course he did. It didn’t perform, and now he’s laying the lion’s share of the blame with the publishers. I haven’t heard him take any responsibility. Of course, Seth is brilliant, and much smarter than me. Just thought I would weigh in on your article, Mitch, for what it’s worth, and as someone with nothing to lose or gain. The book did great. It was a best-seller and it continues to sell. On top of that, he sells thousands of copies (probably every month) when he speaks. If anything, Seth knows his audience, and knows he can make more money (and do more) by getting content to them directly. As for the strategy, I’m also not sure I agree with you. You were at the Art of Marketing event and the truth about events like that (and business books too) is that the people who really need that content are not in the room. The proactive people are. So, the train of thought is that you speak to those “active” people in hopes that they evangelize the content to their peer group. This isn’t just about Seth. I do it too – right here. Do you really think the marketing professionals that need the content on my Blog are here? I don’t… it’s people like you – the forward-thinking and proactive type. Sadly, we are in a small minority. Great post. Too easy to think we are all like Seth Godin. Reminds me of when Damian Hirst went direct to auction without his gallery middlemen. Everyone shouted “see, you don’t need a gallery!”. Not every artist is Damien Hirst. Would he have made as much at auction when he was starting out? Not a chance. Would Seth have been this successful if he was starting today without a publisher? Not sure. Thanks for the reply, and the kind words. I’m not so sure the book did as great as Seth hoped for. Of course, this is based only on my opinion (which is all any of us have), but based on his subsequent tirade against the book publishing model, and his own revelations on the silliness and weakness of best-seller lists, I am of the opinion that he was very disappointed. Here’s a question, Mitch: Who reads Seth’s blog? This would be his target market, right? Do you think that lots of these people are stuck working for other people, or working on their own personal little projects and businesses? I believe that Seth is reaching the small business people, not the employees. Linchpin was written for employees. That’s why it was a mistake. Seth forgot who he was writing for, and wrote a book that followed his heart instead (what he likes to call ART). In retrospect, his ART missed the mark (again, I don’t buy the whole raving success thing), and immediately he started dissing the publishing model with renewed frustration and angst. Again, only Seth knows if he made any money from this book. His actions scream that he didn’t, and I see and hear his frustration oozing out of him. And as for you, Mitch, yes, you are speaking to a minority, but 99.999999% of us are, unless we’re writing Harry Potter books. You have to stay focused on the minorities, to remain valuable. Please keep doing that. Maybe some are not reading your blog who need it, but lots of are. Focus on us, and don’t worry about the rest. Just don’t ask me to be an evangelizer. Empower me to achieve what I want, and I’ll do the evangelizing you need. His ability to share his art is completely equal to your ability. There are many people who do use these channels to get that kind of recognition (think Gary Vaynerchuk, Robert Scoble, Tim Ferris, Chris Brogan, etc…). We all have access to these channels is the main point. The challenge is: are you interesting enough to your audience for them to care? Mitch, you must filter your comments because every single one (and I read them all for this post) is such a smart and thoughtful response. Maybe you just have a sharp audience. One that I’d like to join. I agree with your point. Things are changing. With companies like lulu.com and others, I think paper books will still be something to have, like a souvenier, as Seth says, but who needs traditional distribution channels when your fame and recognition can spread faster online, along with your book ordering? At the risk of appearing to be a stalker, Mitch, I love this line. Well put. Okay, I’m going camping now. Thanks again for your article. Interesting. I don’t know the intricate details either. What I can say is that many of Seth’s book have become best-sellers or made the Top 10 lists upwards of a year after being released. It’s funny how I get a totally different vibe from his actions. For me it feels more like this will allow him to do more (and I believe this will include print). He’ll do more and faster and so he’ll sell “more.” Meaning more products with different price points vs. one big book every year or more (of which the contents are probably owned by the publisher). Lastly, it amazes me how many times I’ve heard/seen people passing his books or printouts of his Blog posts around the office. Save some marshmallows for me! It’s funny how the trend is these comments are focused on him leaving publishing. He’s not. He’s leaving a big publisher. He will still publish books and they will still be in all of the major stores. They will just be either on his own imprint or in partnership with a publisher who can execute on his ideas in a faster timeframe. I agree. I think he’s done an amazing job of expanding his audience, building a tribe, giving it a voice, and a mission, and helping countless people. I just think he blew it with Linchpin, but that’s just me. To clarify, the guy is brilliant, and sees things that most of us (myself included) don’t, but I found it curious that his recent move to lambaste the traditional pub model coincidentally happened now. Anyway, I’m rambling now, so I’m gonna shut up. Next time, I promise I’ll pack a few extra mallows for you, Mitch. Maybe a graham cracker and Jersey milk bar or two, too. Very good post on the issues surrounding Seth Godin’s decision to go it alone. You are right that many author’s can not do this — but those with Godin’s background and genre of book are the natural ones to defect. As for the sales of physical books — you are on target again. Given his track record, with about 10 emails, I could get 95% of the accounts covered (either direct or indirect). It is very possible. For the record: I loved Linchpin and thought it was one of his best. Thanks for your response. Keep up the great work. I am a first-timer here, Mitch. I really like your contributions to this conversation. It’s like you are chatting with your whole audience. I would just add that as I have both authored and now have become a publisher (not a traditional one, though) and am very excited and committed to a future where those with great ideas can get them out to the public using online tools. With the amazing talent available today for authors like editors, designers and promotional experts, it is much easier to publish in a non-traditional fashion now more than ever. But I do agree with your point that Seth will need others to help him and, frankly, it’s more fun that way and productive. The model I am using currently is to have authors pay for part of the publishing process and I cut my fees by 50% and then we share in the proceeds 50-50. What I am seeing now are many thought leaders just coming on the publishing scene needing help to figure out the ever-changing publishing landscape. My prediction is that there will be many more people following Seth’s new model from the start of their authoring careers. They will realize that if they do have great content to share that it could be shared faster and perhaps even better than might happen with traditional publishers. After working with five different publishers myself over the past fifteen years I have found that an amazing handpicked team on the part of the author, can yield a much better book than the often limited team a publisher can offer–especially to first-time authors. Finally, an example I’ll put out there to give some context to my point is the book I worked on for the Chief Diversity Officer of Hewitt (check out http://www.inclusionparadox.com). The quality of the content and the book design is exceptional and, best of all, the book was able to be released much faster than it would have taken a traditional publisher. It’s because of these good experiences with a new model that I have chosen to stay on this new publishing path. My only additional thought is that this is not a zero sum game (they never are). There are options and hybrid models that will (and have) worked. For the first while, we’re going to need balance, and then we’ll be better to judge based on consumer expectations and demands. Shift happens. When a market shifts, how quickly does it take for the early adoption rate to spill over into mainstream? Sometimes not as long as you think. There are many authors out there that sell their products person to person before publishing formally. This is another option; build a personal following and when it grows you can then formally publish on your own. This will also teach you some of the down in the trenches marketing skills through figuring out how to sell your products. Every author I ever met always said that writing the book is the easy part. Selling, Marketing and making sure the book finds its audience is the hard part. You buy 2 eBooks of his 10 or so, and an easy to make podcast out of 50 for maybe $15 for a conservative estimate. Some people buy more and some less, but the average is about $15 as an example. On demand printing is pretty cheap in bulk at 2 or 3 dollars. No other real costs if it’s all online. To make a million dollars, he needs to sell to $1 million / $12 = 83,334 customers. He can do that every year I’m sure. 95% profit is better than 5% royalties even if he loses nearly all his customers. 100k books sold at $20 for 5% = $200,000. 22k books sold at $10 for 95% = $209000. That’s including a price cut he probably doesn’t need to make. A few super customers that buy everything he sells (wasn’t that him who said something like that? ), 10 eBooks x $12 = $120 per super customer. If he has 1,000 super fans (low, low estimate) he would make $120k on them alone. If he has 100,000 super fans, thats $12,000,000 not including regular customers. Corporations get max returns for shareholders, people only need to work to get what they want. Make up your own numbers like I did. Just about anything will be fantastic and in the top few percent of the world in income. I’m doing a research paper on Seth’s “Purple Cow” book. It’s pretty interesting but I’m also giving a talk at my university about how he MARKETS his books. This is a great piece, thanks for the info!